Bujutsu Martial Arts and Fitness Centre has also developed a class that caters for 2 to 5 year-olds who have not yet started kindergarten. 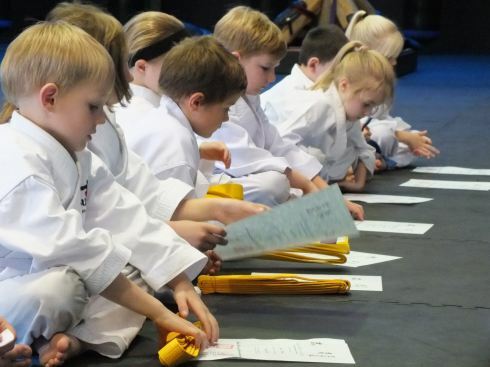 Karate for Toddlers helps to prepare toddlers for the challenges they will face at school. 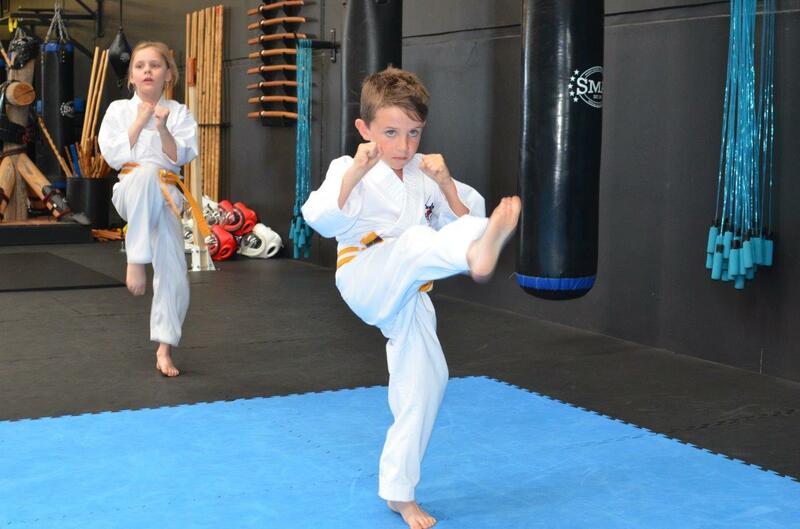 Like our other kids classes, this class instils discipline, respect, self confidence, friendship, strength, fitness, balance and co-ordination in our Kids Karate. Stranger Danger, Fire Awareness and Bully Busting skills are regularly delivered in our Kids Karate program. The skills taught to children in permeates throughout their day to day lives. They will be more focused, disciplined, alert and have a better overall attitude. 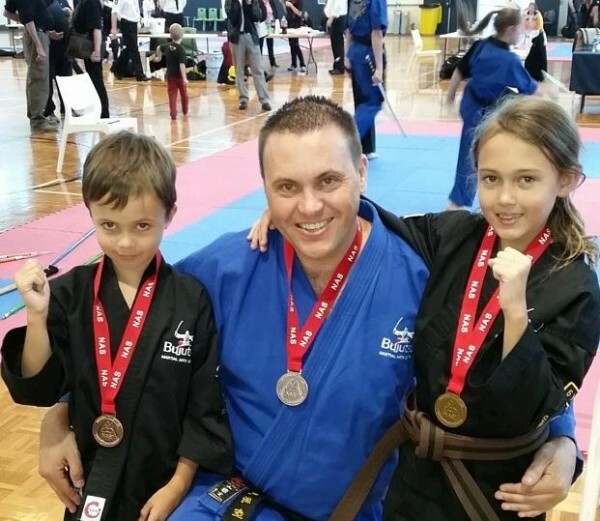 Sensei Mark Szalajko has over 16 years of experience working directly with children, and specialises in children with an intellectual disability. 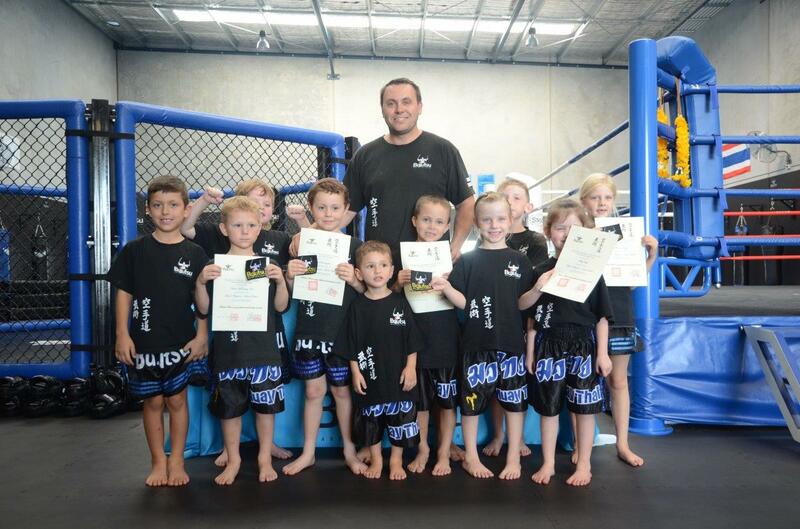 Sensei Mark Szalajko has a clearance certificate for working with children issued by the NSW Commission for Children and Young People. 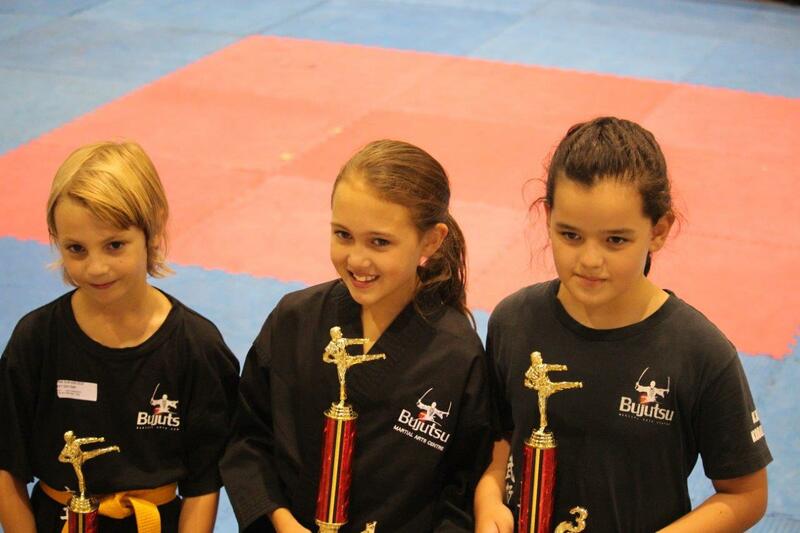 Bujutsu Martial Arts and Fitness Centre has designed a program that is targeted for children from the age of 3 years. Our classes instil discipline, respect, self confidence, friendship, strength, fitness, balance and co-ordination in our Kids Karate. 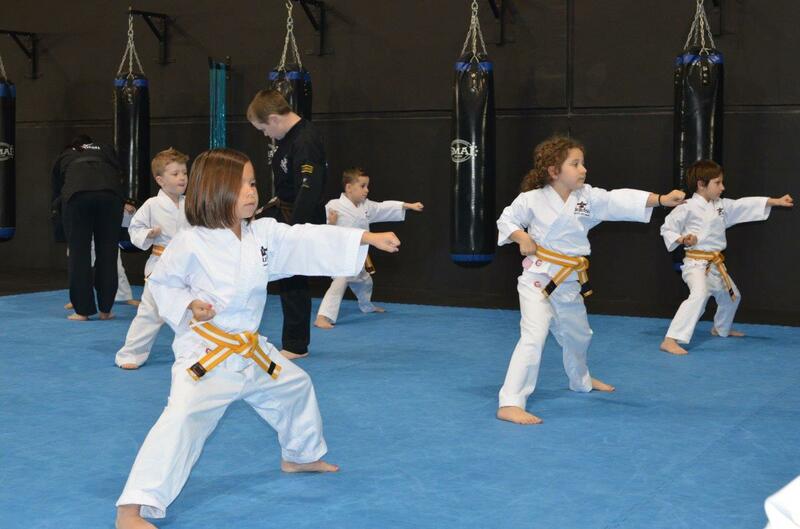 Our Karate Kids classes are run five days a week. Muay Thai (also known as Thai Boxing) is a fighting art that originated in Thailand (formerly Siam) 2000 years ago. Its origins date back to a Warrior Art called Krabi Krabong which incorporated not only empty hands but weapons skills as well. The conditioning of Muay Thai is the basis of the style in both physically and mentally. 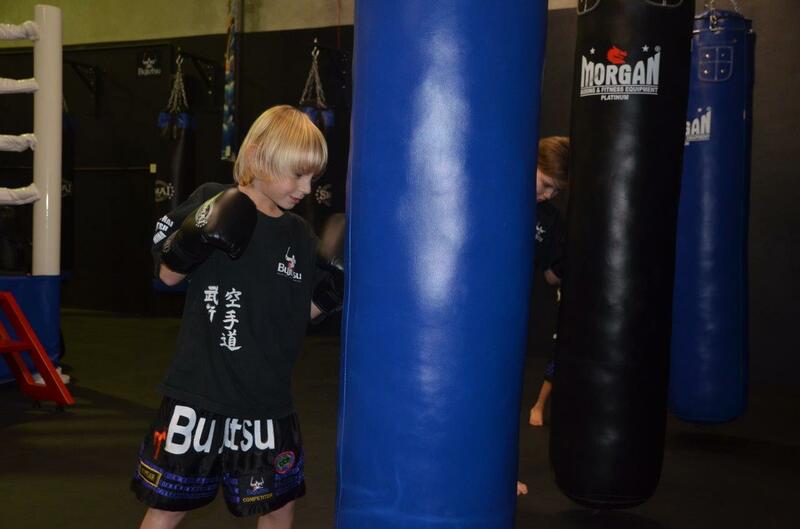 Bujutsu Martial Arts Centre has designed a program that is targeted for children from the age of 3 years. Our classes instill discipline, respect, self confidence, friendship, strength, fitness, balance and co-ordination in our young students. Stranger Danger, Fire Awareness and Bully Busting skills are regularly delivered in our classes. The skills taught to children permeates throughout their day to day lives. They will be more focused, disciplined, alert and have a better overall attitude. 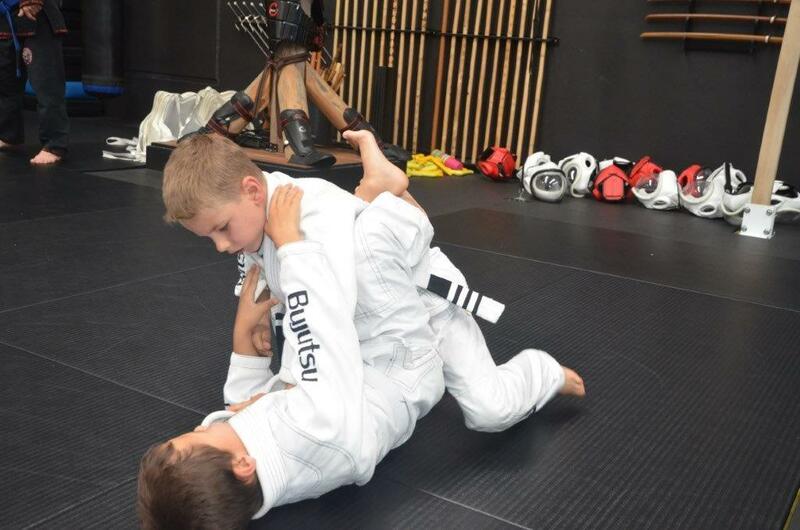 Bujutsu Martial Arts and Fitness Centre has also developed a BJJ class that caters for children aged 7 years and up. 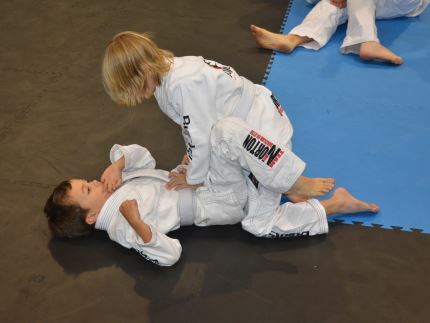 Whilst our Kids BJJ classes focus on teaching ground fighting skills, what makes our BJJ program different is the self-defence skills we teach. Not only do we teach the sport side of BJJ, but we also focus on teaching how BJJ can be used for self-defence purposes. 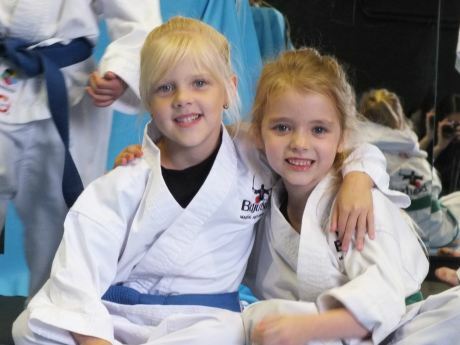 As well as building self-confidence and discipline, our classes build strength, fitness and co-ordination. Bullying is a significant problem within our society. Recently, an Australian study reported that 1 in 4 kids ageted between 8 and 14 years reported being bullied every few weeks or more, with the highest prevalence rates being reported by children in Year 5 (age 10-11 years). This means that 25% of children admitted to being bullied, not just once but regularly. It is unknown how many more kids were bullied but were not confident enough to report being bullied in the study. Many parents rightly turn to martial arts when trying to help their children to cope with bullying. However, most parents do not realise the full benefits that their children will receive from martial arts training? Furthermore, they have no idea what to look for in a martial arts school. Many parents blindly join the nearest martial arts school to them in the hope that the school owner knows what he’she is doing. 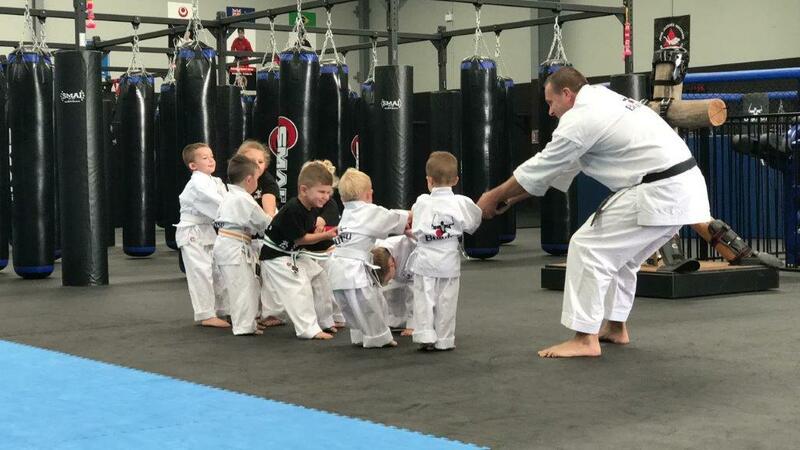 You can a really good insite into the benefits of your children will receive from martial arts training by reading 24 reason why your child should train martial arts. 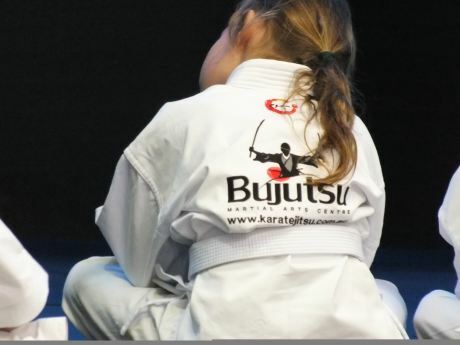 A significant problem for parents who are seeking help for their children is that many martial arts schools will tell parents, “Yes, we can help your child who is being bullied at school” and “We have an anti bullying progam that will help”. The reality is most martial arts schools owners, have no formal training in this area, no real life experience in this area and despite their claims they do not have an anti bullying program. They think that just teaching a child how to kick and punch as well as say, “Stop I don’t like it”, is an anti bullying program. An anti bullying program needs to contain much more than that. Many parents are being tricked into paying for martial arts lessons by some schools who really have no idea what they are doing. 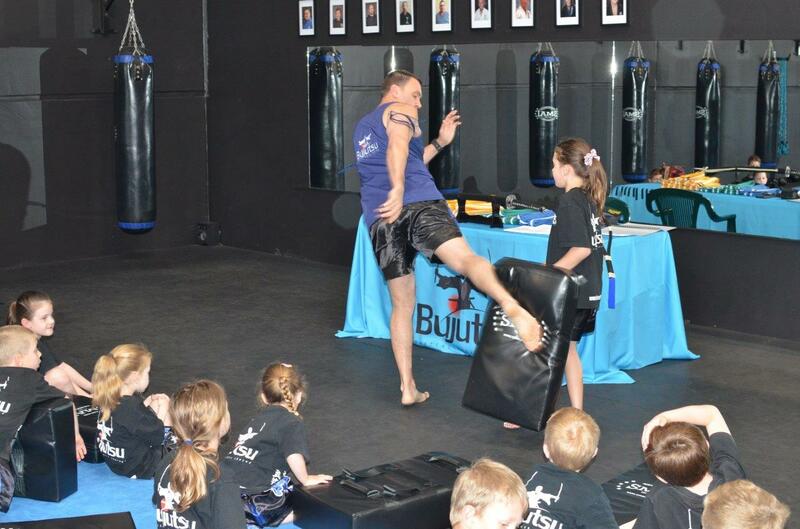 Bujutsu Martial Arts and Fitness Centre has an established Anti Bullying and Chid Safety Program that I personally developed. 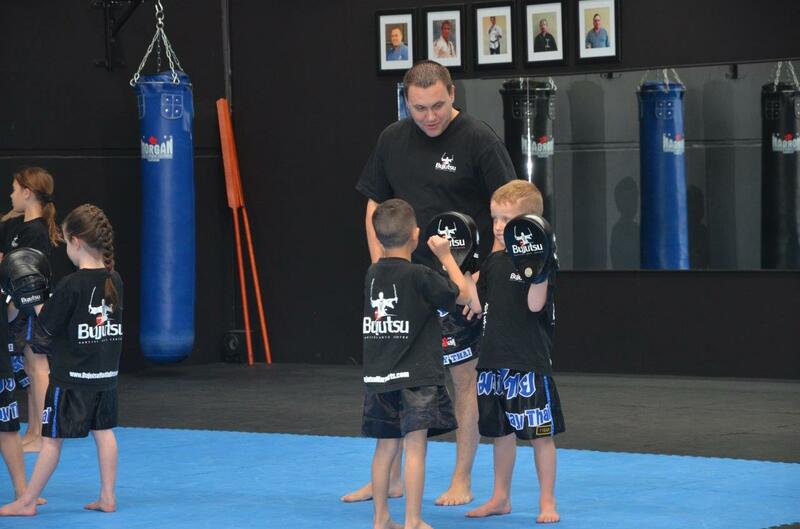 The program is run through our Karate for Toddlers, Kids Karate, Kids Muay Thai Kick Boxing and our Kids BJJ programs. Our program gives kids the skills they need to live a successful and happy life. 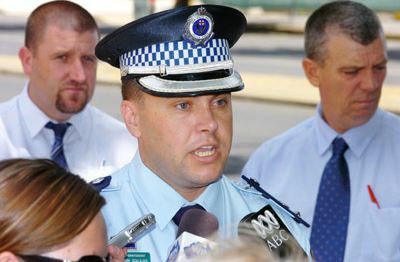 In terms of my own professional experience, I was a member of the NSW Police Force for 23 years, and held the rank of Detective Superintendent, and performed the role of Local Area Commander. As a police officer, I investigated many forms of bullying and assaults, from cyber bullying, to minor physical assaults, to sexual assaults of children and adults, as well as homicides. I started training martial arts in 1988. I have helped dozens of children who have been the victim of bullying. 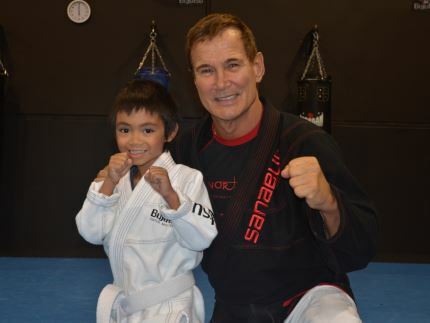 I have many success stories, including one child who could not look me in the eyes, let a lone talk to me when he first started training Karate with me. Six years later, that child has developed into a confident teenager who holds a black belt in Karate. Bullying includes acts or verbal comments that could ‘mentally’ hurt or isolate a person. Bullying can also involve negative physical contact. Bullying usually involves repeated incidents or a pattern of behaviour that is intended to intimidate, offend, degrade or humiliate a particular person or group of people. Physically assaulting or threatening abuse. In today’s environment bullying does not just happen in the school yard or work environment. Thanks to social media, our children can be bullied 24 hours a day, even whilst they sit in the lounge room or their bedroom. Bullying can have numerous effects on children including; depression and anxiety, increased feelings of sadness and loneliness, low self esteem, suicidal thoughts, anger, aggression, changes in sleep and eating patterns, and loss of interest in activities they used to enjoy. These issues may persist into adulthood. Whosoever assaults any person, although not occasioning actual bodily harm, shall be liable to imprisonment for two years. Some examples of common assault include, pushing, punching, kicking, throwing an object at a person or spitting on them. It can also include threateing to do these things. “intimidate” has a corresponding meaning. “Injury” includes any injury to a person in respect of his property, business, occupation, employment, or other source of income, and also includes any actionable wrong of any nature. 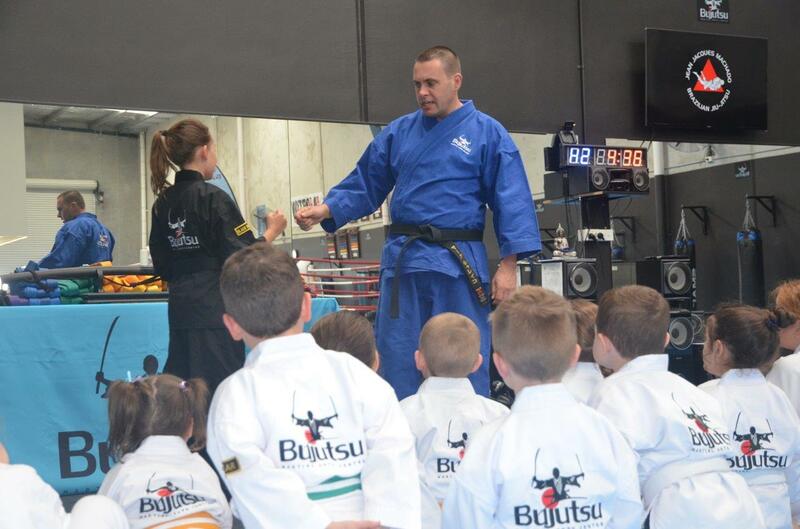 Bujutsu Martial Arts and Fitness Centre does have a formal anti bullying and child safety program that takes a holelistic approach to tackling the problem of bullying. 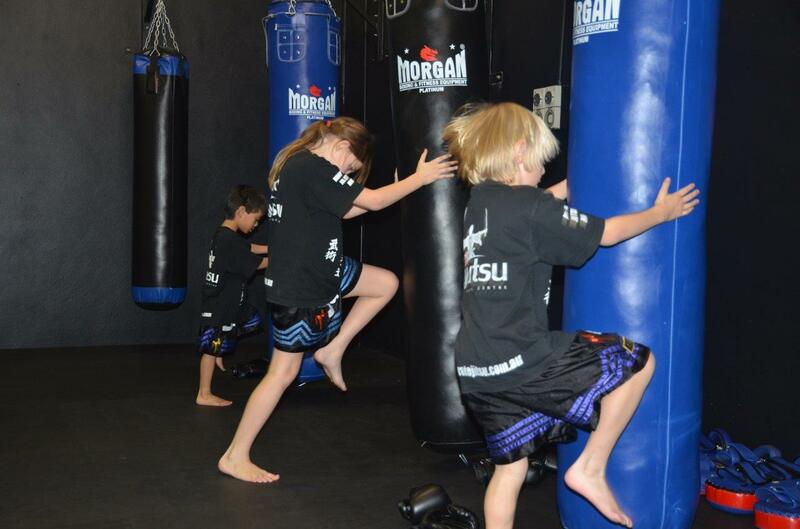 Our martial arts programs are based on my many years of experience as a police officer and martial artist. 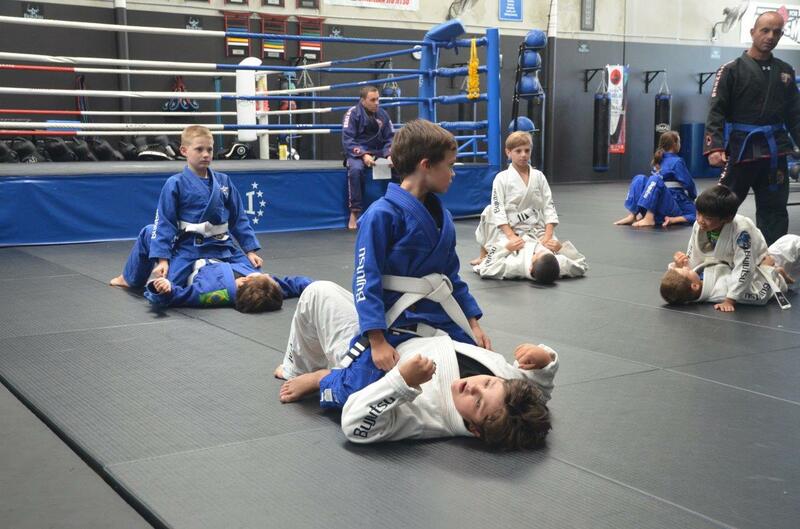 Our program covers so much more than just how to kick and punch.